The Rat Farm album features the indelible Kirkwood brothers, Cris and Curt. SPIN summed up the hypnotic power by saying, "the interplay of Curt's drowsy vocals and freaky guitar can still induce vertiginous spells." The band also continues with drummer Shandon Sahm, son of the legendary Doug Sahm. 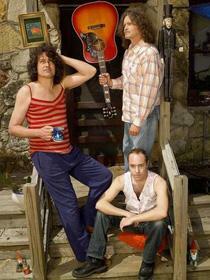 The highly influential Meat Puppets started as a punk rock band, but established their own unique style, blending punk with country and psychedelic rock. The Meat Puppets later gained significant exposure when the Kirkwood brothers served as guest musicians on Nirvana's MTV Unplugged performance in 1993. The band's subsequent album Too High to Die went gold, selling over 500,000 albums, and became their most successful release. The band reunited in 2006. 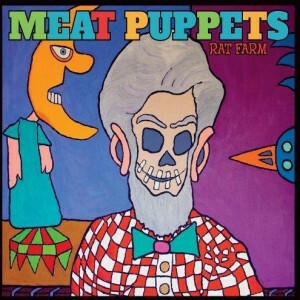 Everyone from Nirvana to Pavement to Stone Temple Pilots cite The Meat Puppets as one of the most significant American bands.